CHALLENGE OF THE AMERICAS ROK & LO206 PRIZE PACKAGES 2018 | Challenge of the Americas! As there is no LO206 series long championship, only event winners will be crowned at Sunday’s podium celebration. The LO206 Senior event winner will be handed $500 cold hard cash from series Promoter Andy Seesemann. 2nd place finisher will receive a free LO206 entry to the next COTA event, while 3rd place will earn a new set of Bridgestone tires. Prizes for LO206 Junior are yet to be determined and are in the works, based on class participation. Thank you RLV for the support of the LO206 classes. In addition, at each event over $1000 worth of prizes are raffled off at the Sunday driver’s meetings and all podium winners win the limited edition podium hats as well as Challenge of the Americas trophies. 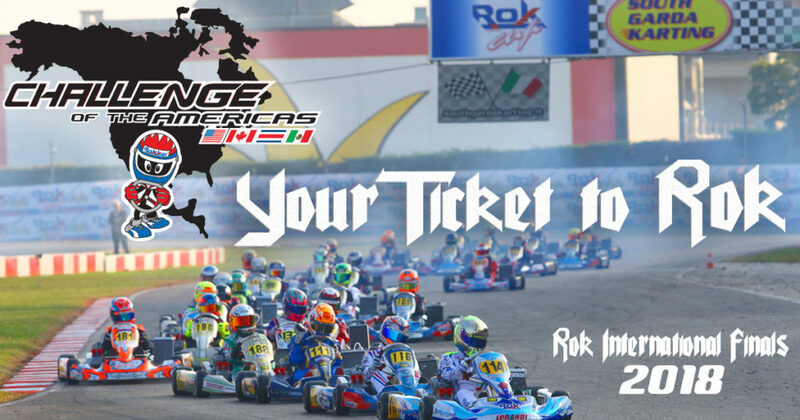 The 2018 Challenge of the Americas gets underway on January 26-28 at the Phoenix Kart Racing Association (PKRA) in Glendale, Arizona. The program heads back to the CalSpeed Karting Center in Fontana on February 23-25. Championships will be decided on April 13-15 at the Simraceway Performance Karting Center in Sonoma, California.